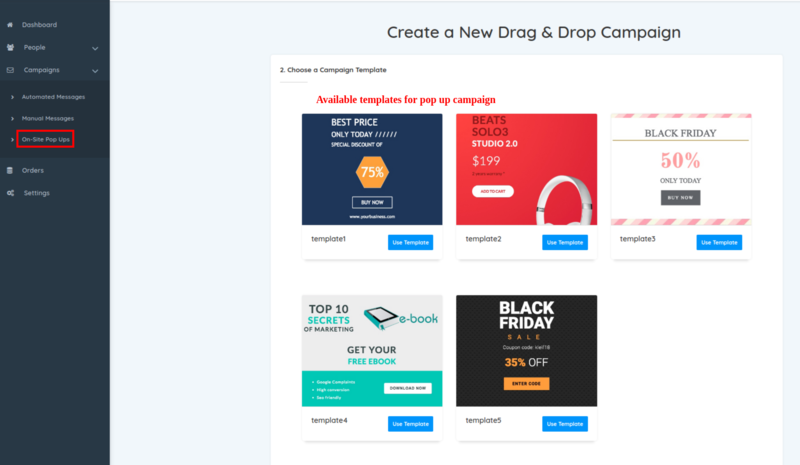 How to set popup campaigns ? 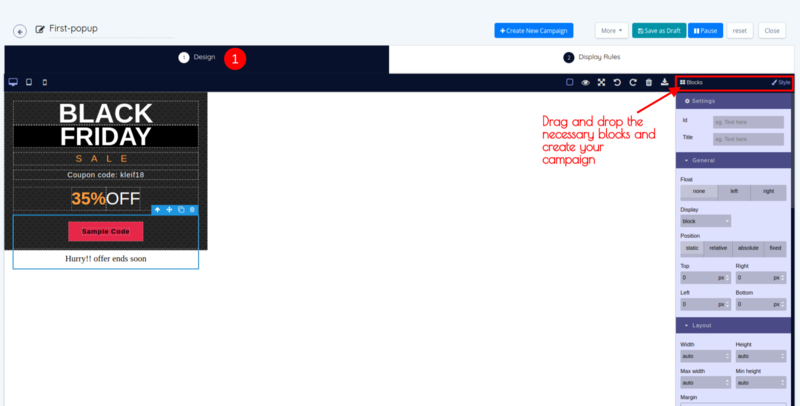 Select the campaign type as “popup” from the In app campaigns section. The rules are time on page is atleast 10 or time on page is no more than 20. 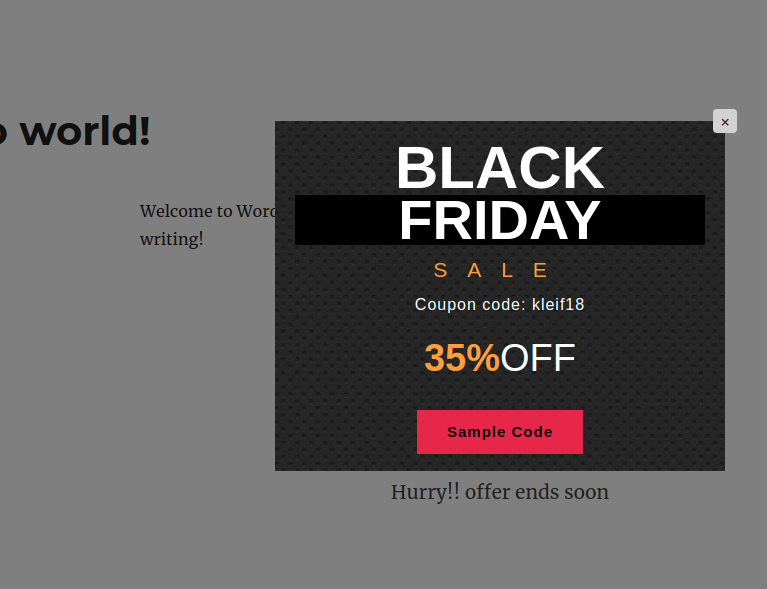 A pop up message will be displayed when the time spent on a page is atleast 10 secs or time spent on a page is less than 20 secs.